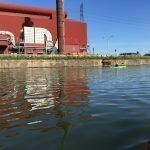 Riverside Kayak Connection offers Detroit River kayak tours from Wyandotte, Grosse Ile, Trenton and Detroit, a Lower Rouge River tour, and a yearly group Paddle to Hell. 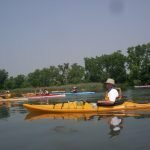 This 2.5 – 3 hour paddle will circumnavigate Belle Isle. 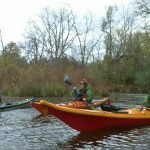 We recommend this tour for intermediate/advanced paddlers. Enjoy panoramic views of the Detroit skyline, contrasted next to the nature of Belle Isle. 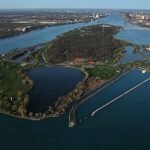 The Belle Isle Blue Heron Lagoon Tour is a beginner friendly tour on the east end of Belle Isle. 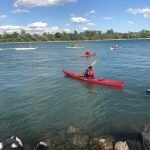 This 1.5-2 hour tour will paddle from the kayak beach on Belle Isle to Sunset Point and back to the beach. Highlights of the tour include the Fisher mansion, Nike Missle Control Site, stories of the Purple Gang and a view of the Motor City skyline. 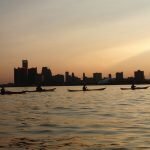 Paddle from Belle Isle’s kayak beach to Sunset Point and watch the sun set over the Detroit skyline and the moon rise over Belle Isle. 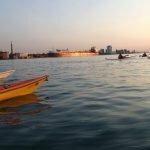 The most requested and most difficult tour on our schedule, paddle down the Detroit River from Belle Isle Park, Detroit to Wyandotte. 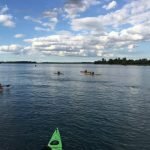 This intermediate/advanced paddle is an 18 mile paddle around the Detroit River’s largest island. This paddle leaves from the soft launch at Grosse Ile’s Water’s Edge Marina. 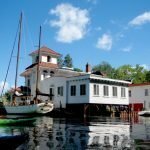 The route will be dependent upon the group and water conditions. 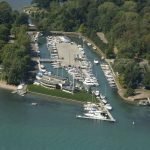 The Grosse Ile Yacht Club Paddle is a bi-weekly group paddle from the beautiful location on the southeast end of Grosse Ile. 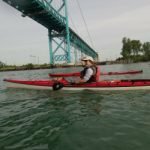 Kayak the International Wildlife Refuge and see the last mile of undeveloped shoreline on the United States side of the Detroit River. Launch from Bruin Lake Campground in the Pinckney Recreation area and paddle to the dam at Hell, Michigan. We will have lunch at a restaurant in Hell and then paddle back to Bruin Lake Campground. 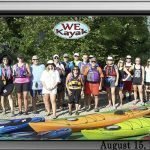 A weekly group paddle from Wyandotte’s Pine Street kayak launch. 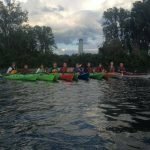 A yearly tour with the Friends of the Rouge that highlights the lower, industrial section of the Rouge River. 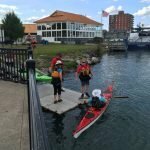 Weekly Tuesday evening group paddle from Grosse Ile’s Water’s Edge Marina. We can design a private tour for your group.